since the first day the file came out over at SVG Cuts. his hands in the air! Can you believe it??? It actually spins too! You are truly amazing! 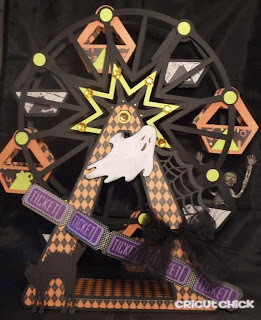 This project screams spooktacular! WOW!!! two thumbs up for you girl!!! This is the cutest project EVER. Love it. OMG!!!! That is soooo cute!!!!! 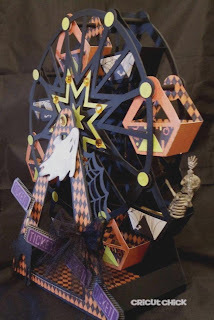 Amazing how it spins.The skeleton is really having fun...Love all the Halloween colors.How you do it, I will never know. Fantastic project Julie. Would love to have you link up to our SVG Saturday Challenge. Thats just too freakin' cute! I love it! Julie this is Fantabulous!!! 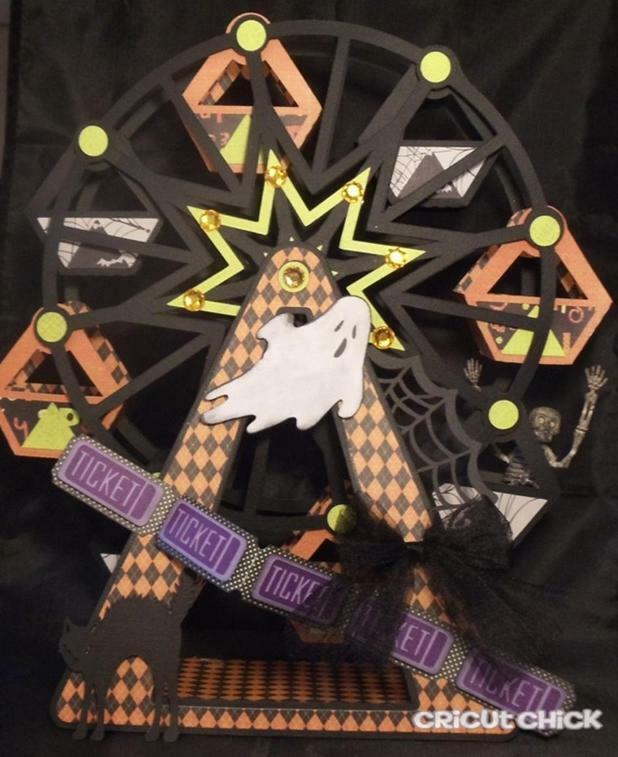 Love the theme & the whole idea. Makes a Fabulous centerpiece. Just tooo cute for words. Fabby work. AGAIN - super project Julie! Love love love it!!!!! Oh Julie! I love this. It's amazing!! Can't wait to have you guest in the Fall. It's going to be awesome! Wowzers! What an amazing project! I want to go trick or treating at your house this year...this is fabulous! Love, it, love it, love it! Wow!! Great project. Love the skeleton with his arms up. WOWZA!!! This is sooooo coool!!! I love it! Such a beautiful project, it's just stunning! I love the cute little skeleton! Love this!!!!!! Can you share the svg file please?